We've received so many great photo contest submissions this month, but there was one in particular that just seemed to shine above the crowd. Our uber-talented design team helped Lisa make her idea come to life and she's chosen the perfect spot for her custom Wall Quotes decal. Congrats, Lisa. We're excited to see how you'll put your $50 shop credit to use! Want to win your own $50 in shop credit? 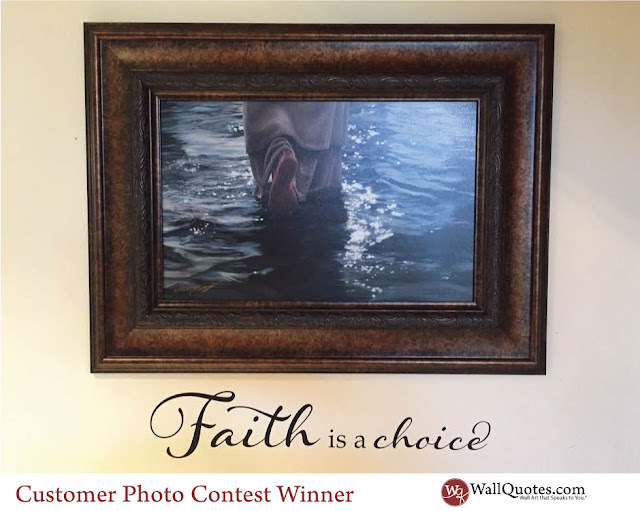 Submit a great photo of your new Wall Quotes design and we'll enter you in our monthly photo contest. Winners get serious bragging rights, are shared with our friends and fans, and best of all - receive $50 in shop credit to use any way they'd like.